– Please, give me a cohesive response for the “lol dat BUDGET” meme. Kevin: It comes down to a fairly simple ‘While production values and the scope of a project are limited by a bunch of factors including the production budget, that is not what viewers appreciate; the talent available is the defining factor, and in TV anime the bottleneck that causes things to go wrong is the schedule. Polished anime achieves its results through strong planning, and animation disasters happen when projects are given even less time than usual. Quality beyond that obviously comes down to the individual talent. Throwing lots of money to hire countless animators leads to really bad results.’ What you need isn’t this short paragraph though, it’s something capable of convincing people who still refuse to believe that when anime looks nice it’s not because they spent more money on it. Those are people who still believe that in a world where people like Erukin Kawabata have said KyoAni projects actually cost less than regular anime due to in-house production. They still believe that after One-Punch Man‘s chief animation director Chikashi Kubota explicitly said the show didn’t particularly cost more money, and confronted that exact fan attitude. There’s absolutely no way to convince them, since this has been a belief held for a long time and even supported by critics who didn’t have any idea how things worked. So… don’t worry about them, I suppose. – I’ve been heard that licensing anime is very expensive, but how much it actually cost to license an anime series? I heard from many sources and it ranges from thousands to $20,30 thousands per show so I have no idea who to trust. Do they have time restriction as well (5 years, 10 years)? Do licensing the classic anime cheaper than the new ones? Megax: The cost to license an anime series varies depending on factors. A worldwide license (like the ones Amazon and Netflix are paying for) will cost much more than licensing for a specific region (like the UK by itself). Each company that’s licensing it has different goals in mind. Chinese companies are only caring about their domestic market. Same for other companies in SE Asia. Conversely, you have companies like Funimation who have licensed a title for all English speaking countries and pay less than Crunchyroll, who may license it for Europe, Africa, and South America. Crunchyroll is trying to grow their user base via two methods now: advertising to a more mainstream audience who likely has never heard of them and expanding content to more regions. That means they’ll pay more for a license than previously, where it may have only happened to cover NA and maybe the UK. Sentai only cares about NA, so any title they get will go there and maybe some other regions if they have to get it to get NA. Thus they pay less than other companies. Additionally, you have the popularity of the title. Something very niche (like sadly Flip Flappers) isn’t going to demand the prices of something like One Piece. This is determined by things like past performing titles in that region. Sport shows aren’t going to be popular in the NA market, but may be popular in South America. Conversely, anything with lots of fanservice and action does well in NA. Lastly is partnerships. Lately we’ve seen international companies join on the production committee for shows. They may not “license” as usual, but pay into the system equivalently and profit via other resources if it’s successful in Japan. These amounts are not public, so we won’t know how much they pay into the production. All in all, licenses can go from anywhere from a mere thousands of USD per episode (small region, niche show) to up to $230,000 USD per episode if you have a company that’s willing to overbid like Amazon. Licenses have time restrictions. If one company doesn’t see benefits to renewing the contract, they can refuse to renew and try to get a new license from another company. Lastly, old shows do have smaller licensing amounts depending on the popularity and/or materials. If the licensor expects the show to still be popular, then they’ll expect more money. If they don’t, then it won’t go for that much. That’s how some smaller one-shot companies in the US can license a show and release it on DVD. Conversely, something like Sailor Moon cost Viz a lot due to its popularity in the US and in Japan. Each situation is different and has to be treated as such. – How do you feel about the rotoscope technique in general in anime. A lot of people says that it’s a cheap technique to save time and budget, thus not really a technique to reccomend at all. I believe in how you use it “right” is more important (as we can see with Flowers of Evil and The Case of Hana & Alice – but even them had a fair share of criticism as well). If they have a good reason to use rotoscoping, then I see no problem with it. Do you think of any case where it’d be better to use rotoscoping? And any classic shows where you think rotoscoping would be a better alternative? Ryan: Short version: The stigma against rotoscoping is silly. You’re on the right track by looking at this technique (like everything else) as situational tools. Complex movement where body quirks matter are where it shines best. And also like any other approach, the result heavily depends on execution. So as far as I’m concerned, no show would be inherently better just by remaking it as a rotoscoped piece; it could end up surpassing the original, particularly if it’s full of dense character acting moments that suit the approach, but that’s it. Rant: Rotoscoping existing as a technique used to cut down significantly on the time spent animating (let’s not even get into the idea of budget here) is one of the biggest fallacies amongst anime fans. You’d think there’s some tool sealed away in each studio that they whip out and run the storyboards through only in dire cases based on the way people talk about it, but the truth is that it’s just another animation technique. Nothing more, nothing less. And one that actually involves way more motion than anime tends to feature, so the idea that it’s easier and much cheaper because you don’t have to come up with the movement is ridiculous. Just look at Tetsuya Takeuchi’s intro for Oregairu’s second season; you can tell it’s been rotoscoped, but that doesn’t take away from how great it is. Then there’s cases like Yuki Komatsu’s controversial work on the imas movie, where it stands out a bit more but doesn’t feel entirely out of place, yet that didn’t stop people from bashing him to the point where his output practically came to a halt ever since. Good job bullying away someone who’d proven their talent for many years prior, everyone! – How it possible to produce high profile anime with much higher quality without increasing costs much, how it manageable to get many more inbetweens without having to pay much more. I know the general stuff about this topic such as the ability to attract good staff due to many factors, but when a special episode announced to have 13k sheets or some episodes that have so much complex movement that takes many layers, I can’t imagine it will not affect the cost “much” due to douga and finishing work are cost in “per drawing” basis. Kevin: Those special episodes definitely are more costly! I won’t give names, but a certain yoyoyoyoung animator was reprimanded a while back by a certain bat-wielding studio boss (those don’t count as names, right) for going way overboard with the number of layers and giving too much work to the departments that would have to deal with it later (though that wasn’t just a monetary thing, it also meant that they’d have to work even faster with the limited time they had!). The thing is, those ‘special’ episodes that actually have way more drawings than usual are very rare and don’t overlap that much with the actually best animated ones – I know Angel Beats #1 is the example everyone falls back on when talking about this, but that happens for a reason. Same with the number of cuts, I believe it was Gonzo’s Blade&Soul that boasted about having a lot for episode 1 and it was hard to even perceive because it was such a mediocre production overall. The vast majority of well animated episodes aren’t extravagant outings with a ton of drawings, they’re simply better crafted ones working under similar circumstances. And when it comes purely to the cost, requesting extra work from inbetweeners/painters/photography staff pales in comparison to having to call 10 extra companies to hire extra key animators. Production disasters still tend to have more extra costs, as backwards as it is. – I’ve been trying to create a chart that illustrates a general/generic pipeline for anime production as well as relationship between various supervision roles and the jobs they oversee (I’m doing this as research for a project I’m working on). This thing still needs a fair bit of work (particularly with the pre-pro end of things), but I was wondering if anyone on the team might be able to check out what I’ve got so far and tell me if I’m on the right track or not, or potentially be able to point me in the right direction of an industry pro who might be keen to help me out. Kevin: You’re by all means on the right track, don’t really need a pro to coach you at this point! I only noticed a couple of things that feel off. For starters scriptwriting is a pre-production step, before any storyboarding goes on (I’d remove that ‘series storyboarding’ one altogether). Pre-production in general is better represented with parallel processes rather than one stream, especially if you’re grouping the design ones together. And when it comes to supervision, series director doesn’t really oversee layouts (unless they’re a movie’s kantoku) because they’d kinda die. Same case with the Chief AD and the inbetween checkers, but I’d actually add a supervision arrow from the series director to the dubbing process since they attend that often. Also, maybe add 2nd Key Animation between KA and AD? It’s becoming very prominent and you only have to say it’s clean-up of particularly rough animation. Otherwise, that’s fine! You need to summarize complex processes so a bit of nuance is always lost, but that gets the idea across so that people can understand the complicated net of relationships. 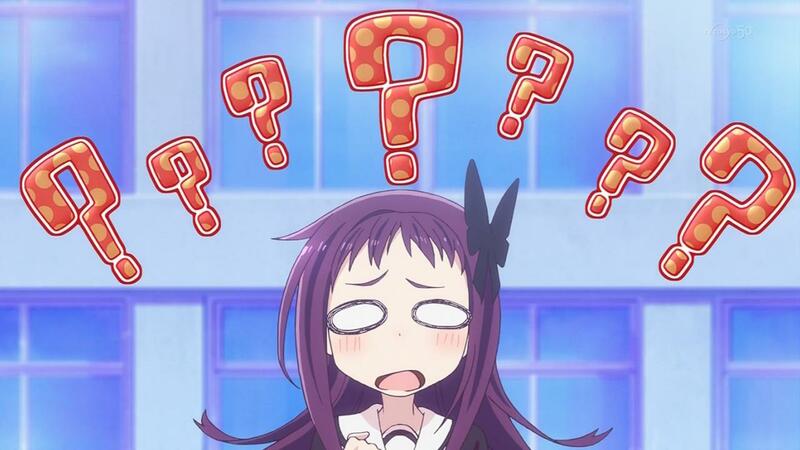 – Since there seems to have been an increase in production-related interviews available over the last 5 years or so (whether translated or from conventions etc) I was wondering if any of you knew of a database or repository where we can browse for particular creators / roles / series? I’m guessing various series wikis would link all the important ones, but is there one that’s more comprehensive, by any chance? And if not, do you think it’d be worth creating one? Kevin: As far as I know there’s nothing that even comes close to that, yeah. Of course the super-popular series have their own fan wikis where people obsessively collect all the available pieces of information including comments by the creators, but there’s no general hub for this kind of content. We really are living in a bit of a golden age when it comes to this; for many years only a handful of creators would receive any attention, but as of late the community has moved towards appreciating the craft more, which means more production-related translations and less of a limiting focus when looking at the artists. And that would make a site like that would be more useful, but also less feasible – keeping track of all these articles isn’t easy, I know I’ve been missing some myself and I actively pay attention to this. I’ll never tell anyone that a neat idea “isn’t worth it” because just look at the inherently niche site I’m running, but it sure sounds like a bunch of work. That was another nice batch of questions we got. The plan is to do this once or twice a month, but it really depends on how many questions our supporters have. Here’s hoping the answers can be useful to everyone. So where do I actually find this Q&A System? We’ve been taking questions from Patreon’s messaging service, which isn’t ideal but gets the job done. We might set up something better to get questions from anyone if we run dry of supporter questions, but those get priority. Everyone is really good and nice at explaining. Aww but since it a little bit embarrassed to say it personally I would like to say it here, Ryan’s answers is always good and easy to understand! Even for the things that I already know I can’t help but enjoy reading it, it’s simple in a good way!! And of course from everyone too, as it really make me happy to see Megax active here. We get some really damn cute comments sometimes. I bet Ryan’s blushing. But wait, if Kyoani’s shows don’t have big budget, why can’t the other studios simply follow their example and keep an in-house team? When’s the next one of these coming out?